My dad and stepmom rented an apartment in Paris for the month of June, and since I’m just a short train ride away in London, visiting my family seemed like the perfect reason for a long weekend in the City of Light. That, and eating all the pastries of Paris. You know, for research. One of the best excuses to indulge my sweet tooth while I train to be a pastry chef. I was excited to eat my way through the city with my newly acquired pastry chef eye, sampling all the classics we made during my course. Of course, this is just a small preview, as it would take forever to eat all the pastries of Paris, not to mention I’d be as big as a house. 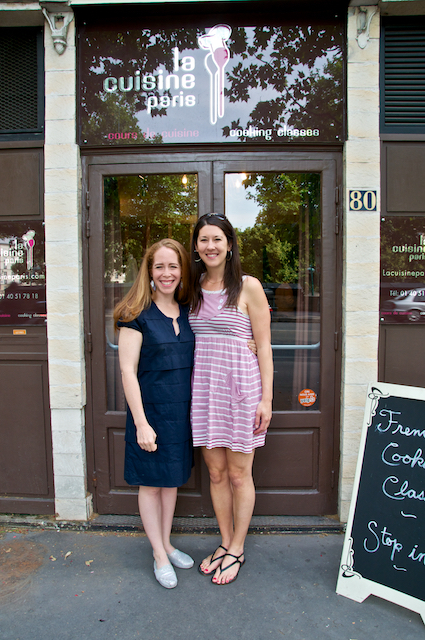 During a trip to Paris in 2013, I took a technical macaron course with the lovely ladies at La Cuisine Paris. The class was one of the contributing factors that eventually led to me going to pastry school. They generously helped me out with suggestions of some pastries shops to visit during my most recent stay. 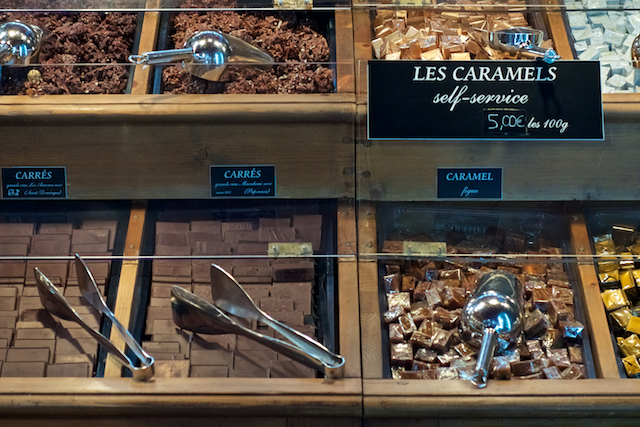 Without further ado, here is a perfect little self guided walk through the pastries of Paris where you’ll be tasting some of the most incredible sweets the city has to offer. Possibly my favorite boulangerie in Paris. I mean, I’m never going to get a chance to eat at them ALL to tell for sure, but this one is pretty special. Flakey, buttery croissants with delightfully tearable layers. I loved making (and eating!!) croissants during my course, but buying one baked by a MOF chef takes the cake (bread?). 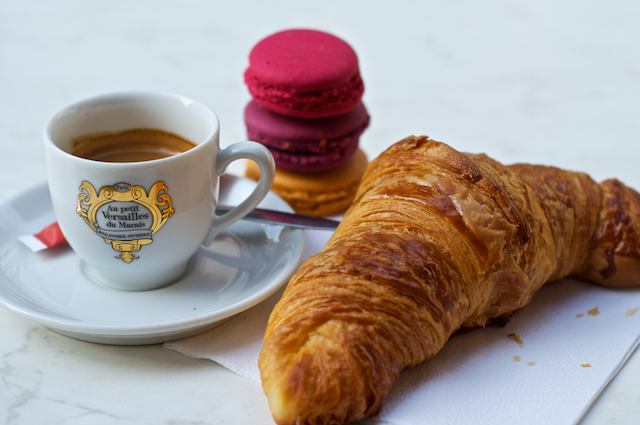 First stop on the pastries of Paris exploration is an early morning croissant and an espresso to get going at Au Petit Versailles du Marais. I threw in a couple of macarons for good measure. Sometimes research requires an 8am macaron, or three. I went with raspberry, cassis (blackcurrant) and salted caramel. It’s worth noting, that these were my favorite macarons of the weekend. Especially for their price point of €1 a pop. Au Petit Versailles du Marais is worth a stop on your next trip to Paris! I got my sweet tooth from my dad, who’s name is Fred, and since Aux Merveilleux de Fred (nearly…I think) translates to wonderful Fred, and I was visiting my dad in Paris, we had to go. Aux Merveilleux de Fred is the creation of pastry chef Frederic Vaucamps. 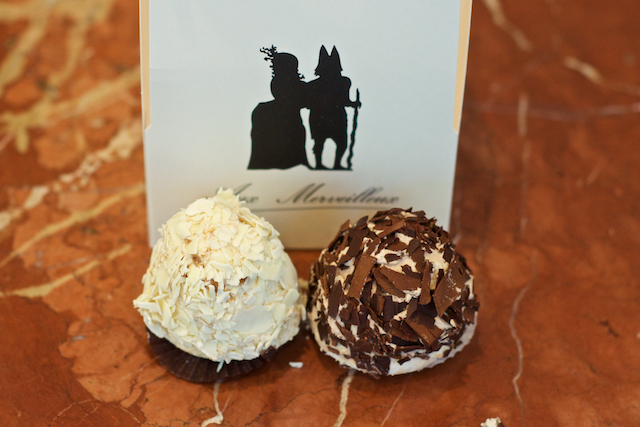 Frederic loved the Merveilleux cakes, which is a small cake of cream sandwiched together by two soft meringues that originated in Belgium. Playing homage to the cake by creating a version of his own, Frederic created a lighter Merveilleux which he did in a variety of flavors. 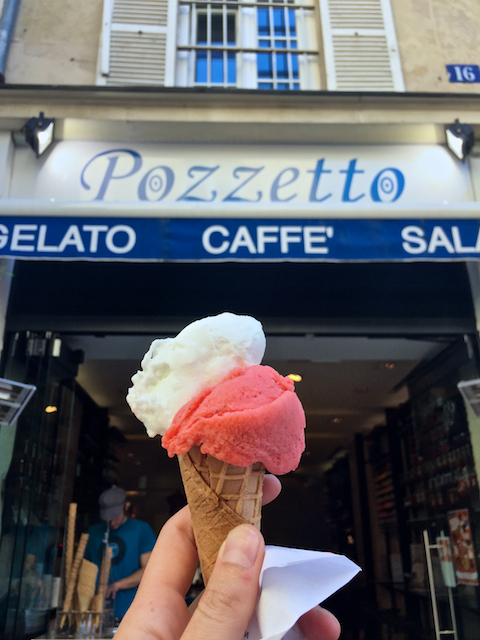 Just across the Rue de Rivoli and around the corner is Pozzetto, a shop known for its Italian-style gelato. 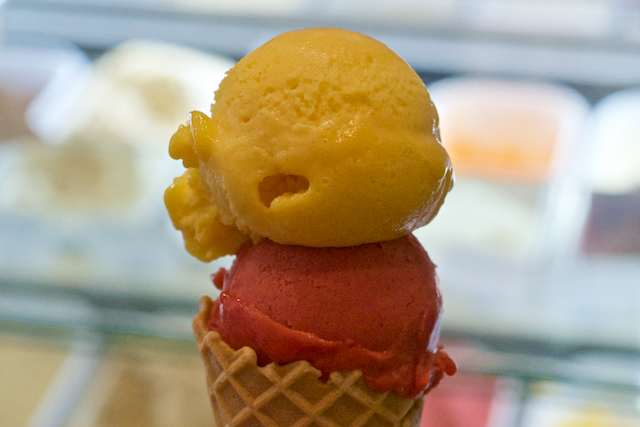 I know this is a tour of Paris pastries, and gelato originated in Italy, but there’s always room for gelato. I ordered a two scoop cone of lemon and strawberry. The lemon was the best lemon I’ve had outside of Sorrento, and the strawberry was delicious too. I could’ve eaten six scoops. 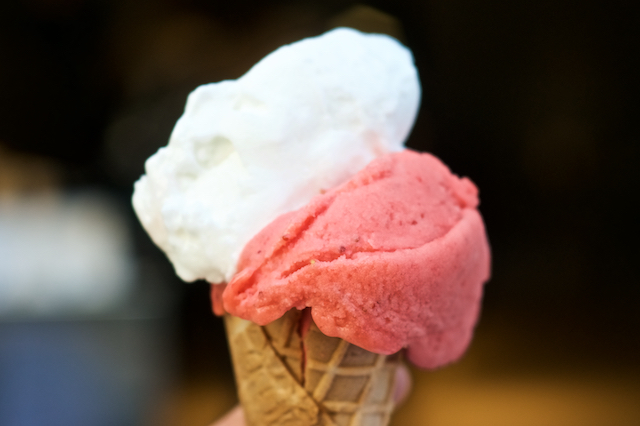 A little on the pricier side, especially compared to Italy, my two scoops were €4.50, but a decent sized scoop and well worth it! I passed by the shop during the afternoon and there was a line around the corner. Deservedly so. A few blocks from Pozzetto, you’ll find some of the fanciest eclairs in town. L’Eclair de Genie is a shop solely dedicated to eclairs. And gorgeous ones at that! Pastry chef Christophe Adam balances the tasty and the beautiful to create pastries that are as pleasing to the eye, as well as the mouth. 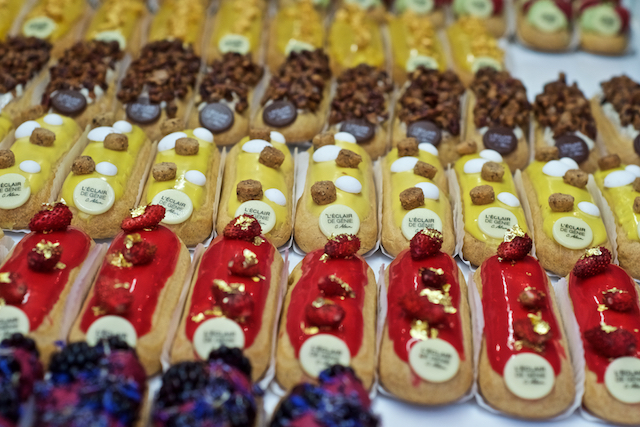 As soon as you enter the shop, you’re surrounded by the most beautiful, colorful eclairs. Gripped with indecision, I asked for a recommendation from the salesman. He suggested the Citron Yuzu and Caramel Beurre Salé. Sold. The Citron Yuzu was filled with a lemony-citrus cream and topped with Yuzu icing and Swiss meringue streusel. L’eclair de Genie describes it as lemon meeting its Asian cousin Yuzu at the tart family reunion. It was all you could ask for in an eclair. I ate it in two bites. It was perfect. The Caramel Beurre Salé, is the salted caramel eclair and it too was delicious. A bit heavier than the Citron Yuzu, the salted caramel was thick and creamy with the light punch of flavor from the salt. Plus it was covered in chocolate. How can you go wrong? These aren’t the cheapest treat (between €4.50-€6.00 per eclair), but they’re too delectable not to splurge on at least one (or share a few with friends!). 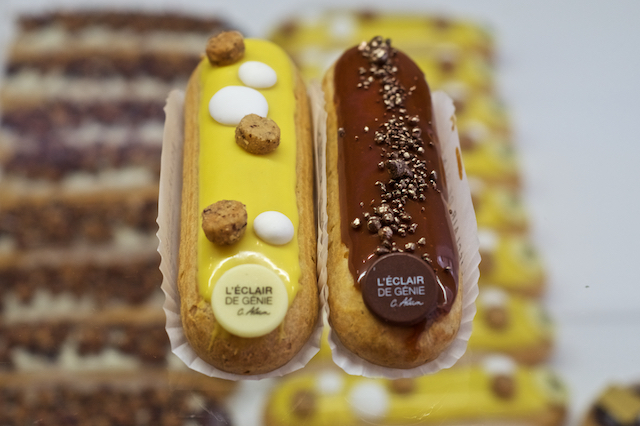 Eclair in French means ‘flash of lightening’ because they’re eaten so quickly, and the ones from L’Eclair de Genie live up to their name. Cafe Pouchkine is one of the prettiest patisseries in town. From the lavish, ornate decor to the really friendly staff and the elegant pastries on display in their glass case, this is one to have a seat and enjoy a pastry slowly. Really savor and take in the experience. 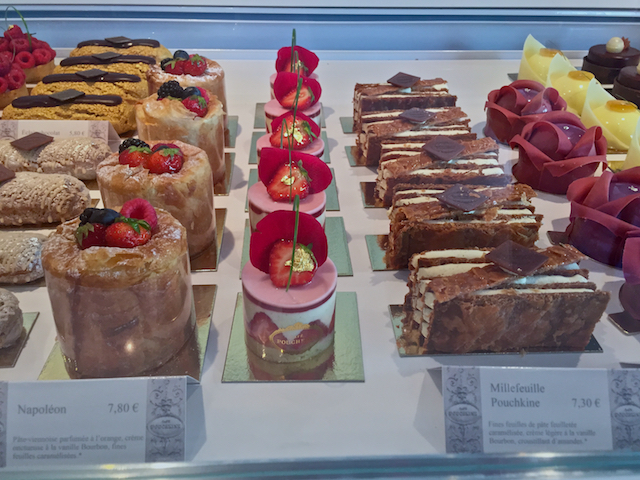 They have a whole host of pastries that are too pretty to eat. Almost. This one is probably the splurge of all the patisserie shops. 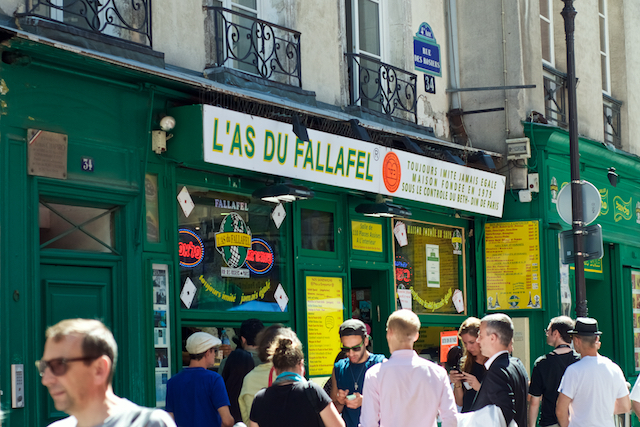 Just around the corner from Cafe Pouchkine is one of the most celebrated falafel shops in Paris. A quick break from the sweet treats for a savory bite of lunch. L’As Du Fallafel is every bit as good as they say. 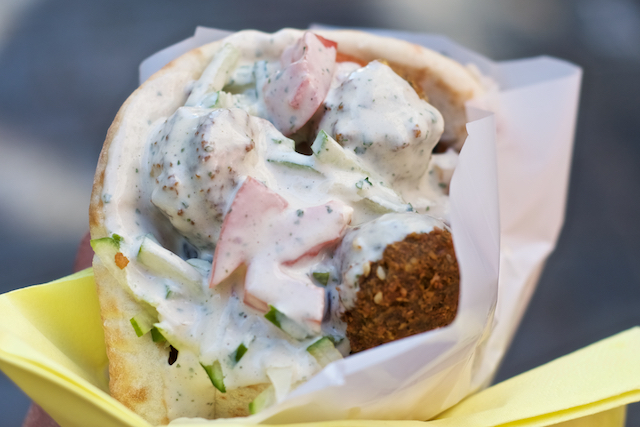 The fresh, warm pita piled high with falafels and veggies and topped with tzatziki is the perfect lunchtime intermission from the sweets. A great budget street food option at €6 for my large falafel pictured below. Beware though, the lines can be long during popular hours. After a little something savory, time to get back to the sweets. 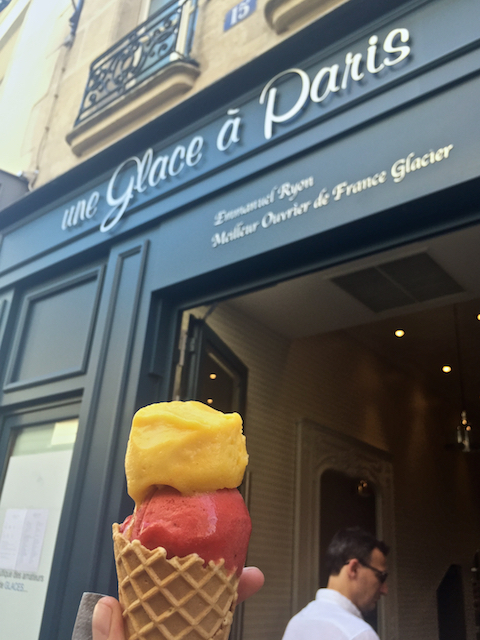 Une Glace á Paris is the creation of another MOF and one of the newer ice cream/patisserie shops in the neighborhood, and is the perfect after lunch treat to ease back into all the sugar. In the summer months, I’m a little more partial to fruitier, lighter flavors and sorbets, so I went with a passion fruit and strawberry hibiscus. Both flavors were very good, and despite wanting to try all the other flavors, it was a perfect cone for the first stop post-lunch. It’s hard to do a self guided pastry pastry walk without including a stop at Pierre Herme. 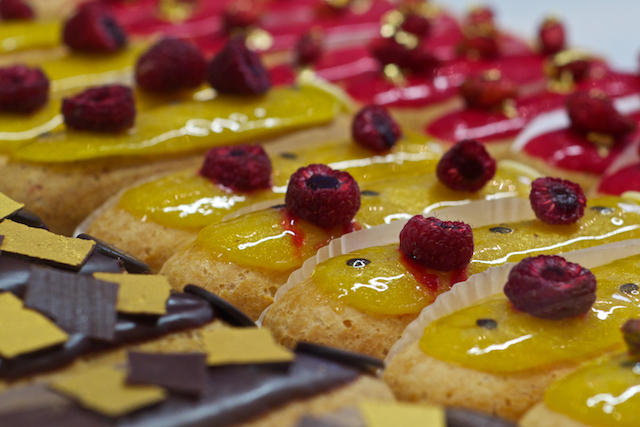 Pierre Herme, called the ‘Picasso of Pastry’ by Vogue, started as a pastry chef at age 14 where he trained as an apprentice under Gaston Lenôtre. His pastries routinely push the boundaries of flavor combinations. During my 2013 trip to Paris, I visited Pierre Herme for the first time and tried the foie gras macaron, because, why not. It was actually pretty good, despite foie gras (duck liver) not being an obvious (or even in the ballpark) macaron flavor; Pierre made it work! I had a hard time choosing which flavors to try. On the one hand, I want to go with my favorites. On the other, I want to eat them ALL. Since Pierre Herme always has such unique flavors, I opted to go with the recommendations of the shop. I tried the Céleste (passion fruit, rhubarb & strawberries), the Mogador (milk chocolate and passion fruit) and the flavor of the month, Jardin en Corse with Nepeta from Corsica (basically, a mild-floraly mint). All of them were winners! 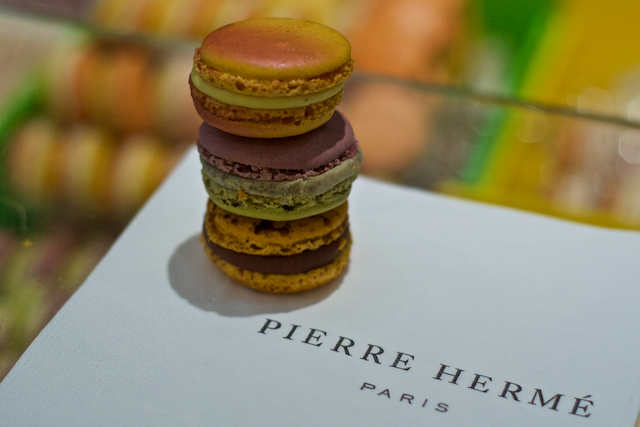 The macarons at Pierre Herme are €2.10 each, not cheap, but in the mid-high end compared to the others. 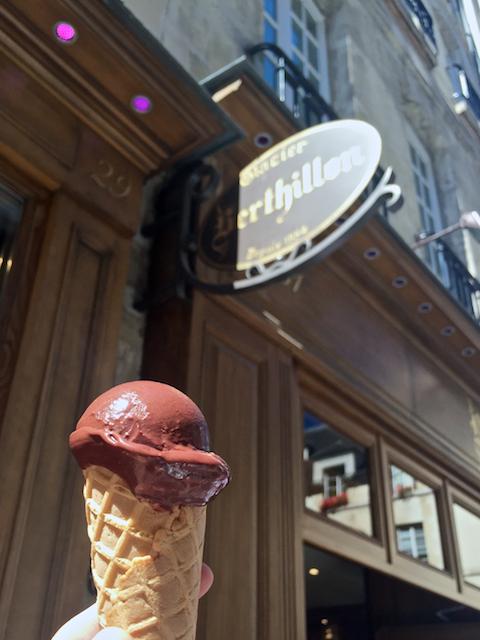 I’d heard about the ice cream at Berthillon and how incredible it was supposed to be so naturally I had to check it out. 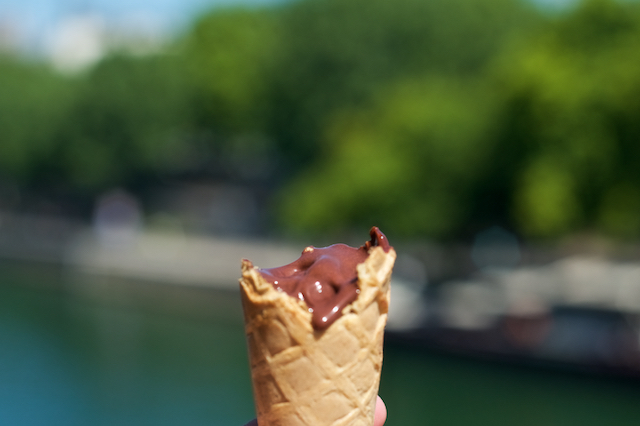 Located on Île Saint-Louis, it is the perfect stop along the route to indulge in another ice cream, because you can never have too much ice cream! This time I went with a classic – chocolate. I got a single scoop and afterwards wished for the double. The chocolate is so smooth and creamy. Around the corner from Berthillon, you cross over the Pont de la Tournelle which offers up some pretty special views of Notre-Dame. 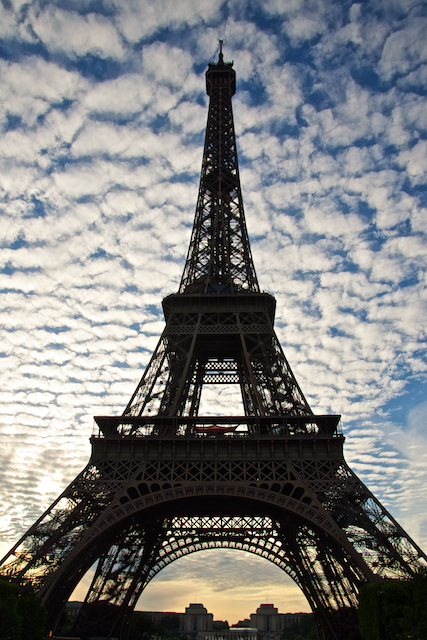 A sunny day in Paris eating your way through the city and seeing the highlights. The dream. 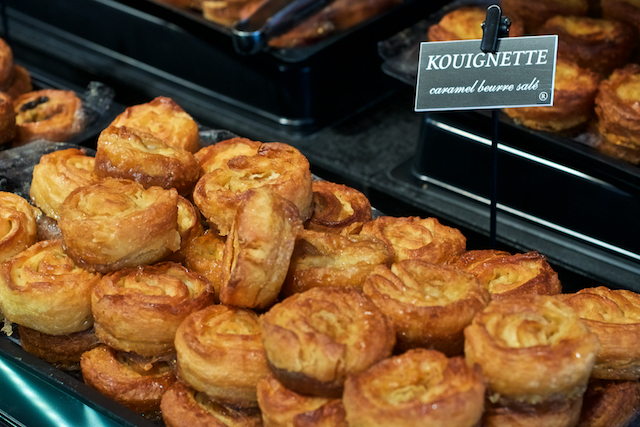 Georges Larnicol is a MOF pastry chef from Brittany, in northern France, where the Kouign-Amann is said to have originated. His shops are filled with so much goodness – chocolates, caramels, macarons, whimsical chocolate sculptures and a miniature version of the Kouign-Amann he famously dubbed Kouignettes. I decided to sample two of the Kouignettes and went with salted caramel and chocolate. These are flakey, sugary, buttery cripsy treats that seem part Danish pastry, part cinnamon roll. Slightly heated, they were soooo good. The chocolates and caramels were a real treat too. I got a few samples to taste test for me, and an assorted box as a gift! Double score. The final stop takes a little stroll through the streets of Paris to the oldest pastry shop in the city. Walking there makes you feel like you’ve really earned all the pastries; plus the route takes you across Pont Neuf and the front side of Notre-Dame, as well all the loveliness that comes with strolling through the streets of Paris. If you’re not up for walking, you can also get on the Metro at Odéon – take the #4 for three stops to Les Halles and walk five minutes. Stohrer was opened in 1730 by pastry chef Nicolas Stohrer, who came to France in 1725 when Louis XV married Marie Leszczynska, the daughter of King Stanislas of Poland. 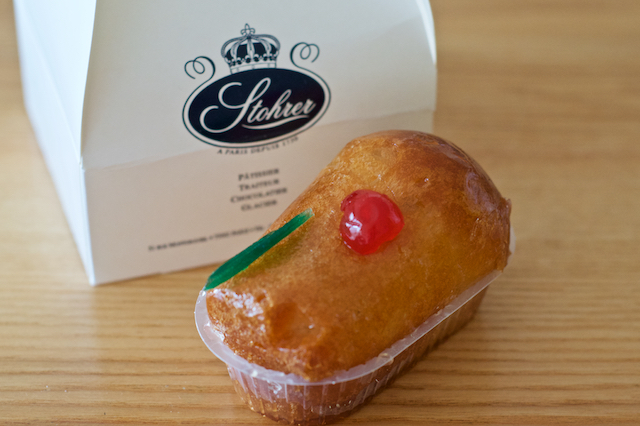 Stohrer is credited with inventing Baba au Rhum (Rum Baba), using a rum syrup to add moisture to dry cakes. At least according to some of the stories; history is muddled on the origins of some pastries that have been popular for centuries. I got the Baba au Rhum. Naturally. A lovely enriched, elastic dough, baked and gently soaked in rum and topped with a glacé cherry. A classic Parisian treat. Perfect for the conclusion of a sweet walk through Paris. 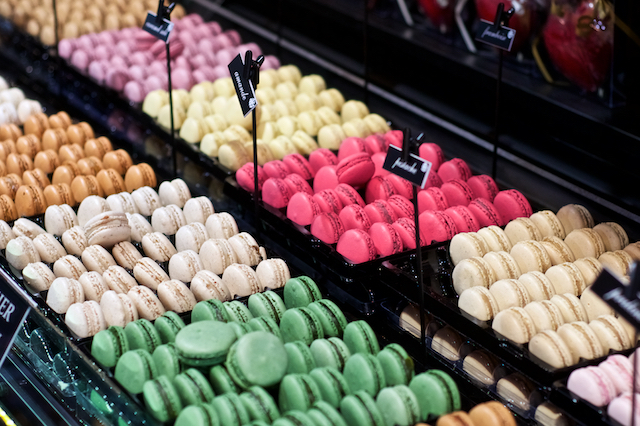 After tasting all of these decadent treats, and you’re feeling inspired to bake at home, make your way a short stroll down the street to E. Dehillerin. 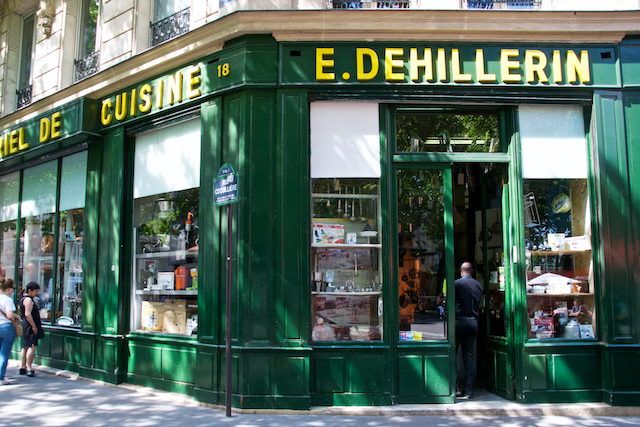 E. Dehillerin is one of the most fabulous kitchen supply shops. I’ve purchased a few things here and there in the past and each piece has become a kitchen staple, but sadly this trip, I didn’t have extra room in my suitcase. Lesson learned, pack less. It’s still worth a visit just to admire the beautiful craftsmanship and fantasize about your dream kitchen. 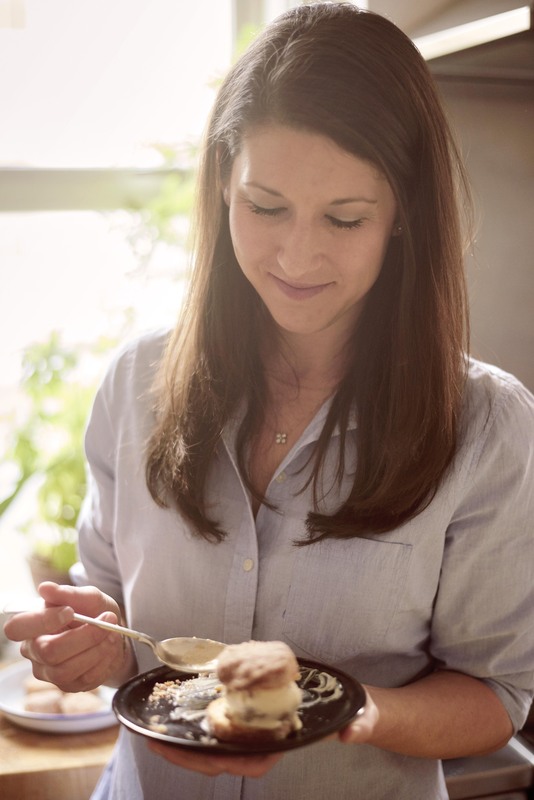 If you’re feeling even more inspired by the pastries in Paris, wander back down to the start (maybe sneak in another macaron, or twelve, on the way) and check out La Cuisine Paris where you can take classes on how to make all the fabulous pastries the city has to offer. If baking isn’t your thing, they’ve got food and sweets walking tours that hit up even more amazing spots around town. I had hoped to take their ‘Sugar Rush: Chocolate & Pastry Tour‘ but my train arrived a bit too late. Moral of the story – check out their calendar, book in advance and plan your travel accordingly. They are the loveliest people! What do you think, are there any pastries of Paris or patisseries you’ve tried and would recommend adding to the list? i love that kind of research (; and thanks for the guide! it’s going on my way too long list of eateries for paris when i finally go. This is AMAZING! Thank you for sharing. I’m inspired (and definitely going to need to hit the gym when I get back from Paris! ).